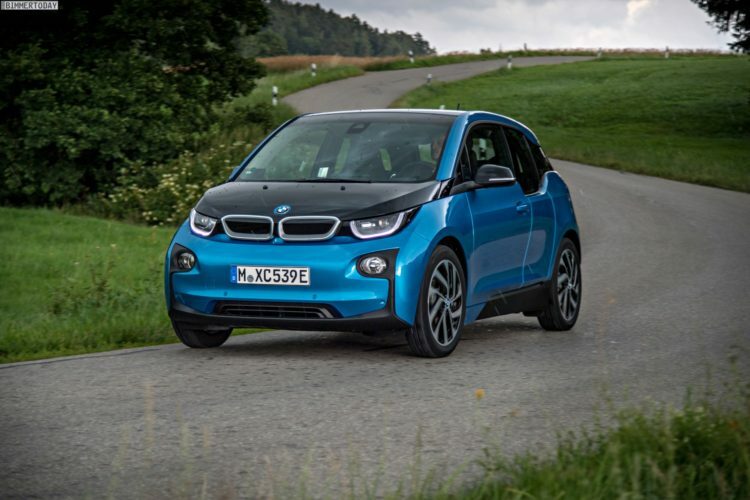 James May, famously from “Top Gear” and now “The Grand Tour“, has been one of the biggest proponents of the BMW i3, BMW’s small electric hatchback. He famously bought an i3 when it was still relatively new, being one of the first major car celebs to buy one. When BMW gave the i3 a larger battery, May opted to trade in his car for a new one, this time with the optional range extender as well. Despite May’s fondness for the BMW i3, his colleagues tend to give him a hard time for driving a tiny electric hatchback. In the latest episode of The Grand Tour, its first season finale, Jeremy Clarkson proposes that they have a comparison test between their own cars, as both are five-door German hatchbacks. May and his BMW i3, obviously, versus Clarkson and his Volkswagen GTI. It might be fun to knock Clarkson — a man known for his obsession with “Powerrrrr!” — for driving a little GTI, but it is a brilliant car and one of the best all-rounders in the business. So it’s going to be tough for the i3 to beat that, especially given its range issues. In this comparison, they test things like how long it takes to open each car’s back door. Not the rear tailgate, but the back door. That may sound fairly simple and, in the case of the GTI, it is. However, the BMW i3’s rear doors can only be opened once the front doors are opened. So, obviously Jeremy and his GTI win that test. Next, James May claims his car is faster than Clarkson’s. Despite the i3 only having about 170 hp and the GTI (with the Performance Package) makes 228 hp, May is actually onto something. 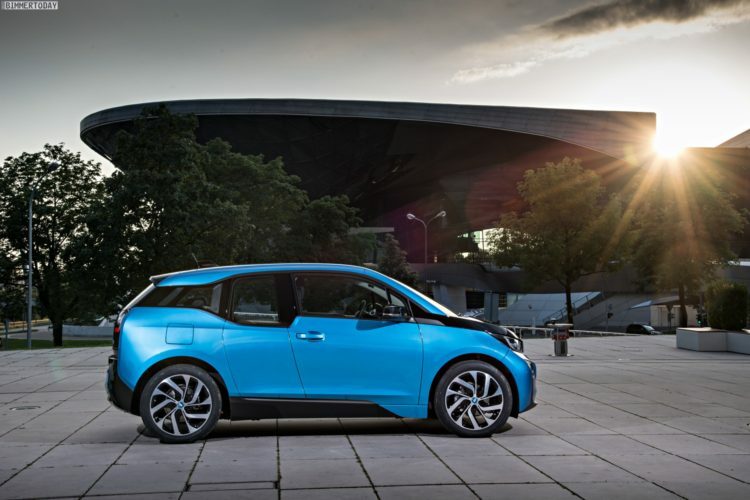 The BMW i3’s electric torque actually allows it to be very quick immediately off the line. While 0-60 mph comes in 7.1 seconds, a spring the GTI will do in under 6 seconds, its 0-30 mph speed will beat most sports cars, thanks to its instantaneous electric torque. Which is why May tries to make the race as short as possible. However, Clarkson wasn’t having it and made it a decent length race. The little i3 actually creates a pretty big lead early on and holds it longer than I expected but eventually the GTI catches up and wins. So that’s two for the GTI and zero for the BMW i3. What about cost? Well, Clarkson paid £36,000 for his GTI and May paid £40,000 for his i3. However, May got £5,000 back from the government, as Englanders do with electric cars, so his BMW was actually cheaper than Clarkson’s VW. Finally, a win for May. But that win is short lived, as Clarkson now makes them take a long trip of almost 200 miles, knowing full well that the i3 will struggle to do that. Plus, they started the trip right after the drag race, which took a lot out of May’s battery and the closest charging station wasn’t working. Their trip was from London to Devon to see Roger Daltrey perform at a small pub but, thanks to charging stations not working and having to use ECO PRO mode, May didn’t get there until Daltrey was done playing, meanwhile Clarkson was there on time and saw the whole show. So, in the end, Clarkson came to the conclusion that the electric car simply isn’t ready yet. And, in a way, he’s right, as the electric car isn’t yet ready for all aspects of driving life, it’s why BMW is pushing its iPerformance hybrids so much. But the BMW i3 does make a superb city car, one perfect for people who live in, say, London.